The 7th annual You, Only Better Health and Wellness Fair returns to the Holiday Inn Hotel & Convention Center Feb. 25, and this year is shaping up to be bigger than ever. Created by leaders from the Holiday Inn Hotel & Convention Center and Stevens Point-based Adventure 212, the event is designed to promote health and wellness in the everyday lives of everyone who attends. The event was founded on seven dimensions of wellness identified by the UW-Stevens Point Health Promotion and Human Development Department. Demos, workshops, and vendors at the event will all reflect those dimensions: social, physical, environmental, intellectual, career, emotional, and spiritual. This year’s organizers are Julie Maher, corporate sales manager at the Holiday Inn Hotel & Convention Center, and Ashley Schmidt, corporate wellness consultant at Adventure 212. The You, Only Better Health and Wellness Fair help attendees do just that. 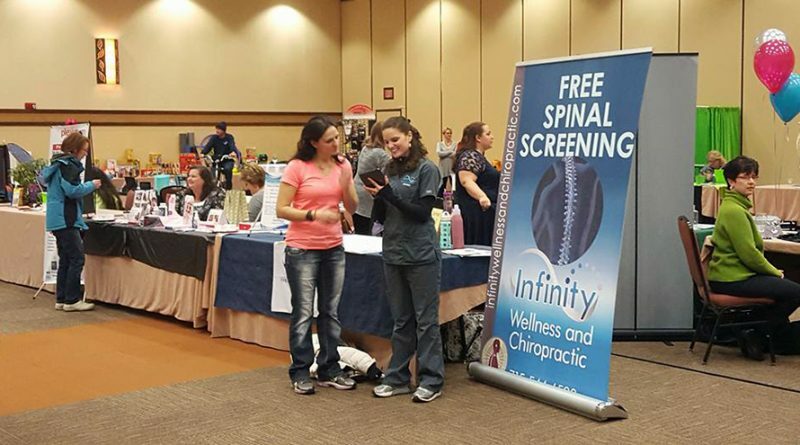 The free, family-friendly event includes chair massages, biometric and spinal screenings, and will host specialists in several fields of the health, finance, recycling, and education industries. Security Health Plan, ECKANKAR in Central Wisconsin, Massage Therapy Associates, Portage County Can, Plover Chiropractic Center, UW Credit Union, Velocity Clubhouse, Infinity Wellness and Chiropractic, and the Aging & Disability Resource Center of Portage County are some of the dozens of vendors that will be on site. “We want to be your wellness resources,” Schmidt said of the event. The event is free and open to the public from 3-7 p.m. at the Stevens Point Holiday Inn Hotel & Convention Center, located at 1001 Amber Ave.